Australia is faced with many strategic challenges. On one hand there is the rise of non-state actors, such as Islamist extremists, who aim to overhaul the Westphalian international system. Without the rule book of western nations, they combine conventional and unconventional military tactics ignoring the distinction of soldier and civilian. These non-state actors, enabled by the networked age, combine propaganda, conventional military tactics and guerrilla asymmetry, along with financial and governance structures. Whether it is Hezbollah, the Taleban, or Daesh, they utilise the entire spectrum of warfare and multiple methods to achieve their desired political ends. On the other hand there is the resurgence of multipolarity within the international system –– a rebalancing of power within the global order. Countries with centralised forms of government such as Russia and China, are able to leverage more strategic elements of national power for their political ends. Political, technological, sociological, commercial, economic, legal and psychological tools are all intertwined into mutually supporting lines of operation towards the strategic end state. But in Australia, and other western democracies, we struggle to achieve our political objectives, especially within a world where states find their traditional strength in decay. Whether it is the strategy to defeat Daesh –– requiring a political solution, a military victory, and a social engagement narrative –– seemingly not coordinated enough to link means with ends. Bureaucratic coordination is not the same as having unity of purpose. For instance, it is also questionable how the multicultural programs are synchronised with intelligence operations. This article argues that Australia needs to adopt a culture that promotes political warfare. But it does not aim to advocate for an authoritarian or autocratic approach to strategy development. The strengths of the other systems discussed in this article are not without their weaknesses, there are real trade offs in their governance which are the strengths of ours. But China and Russia do have some administrative advantage in the development and execution of strategy. Clausewitz described war as a “continuation of politics by other means.” But war is not the only means, or at least exclusive means, to achieve political objectives in the modern world. Linking military and non-military means to political ends through innovative ways is what is required in modern strategy. Colonels Qiao Liang and Wang Xiangsui of China’s People’s Liberation Army–Air Force wrote Unrestricted Warfare or 超限战 (literally warfare beyond bounds) in 1998, analysing how the US were able to engineer such an overwhelming victory in Kuwait, but then fail in subsequent small wars. Qiao and Liang argue the aspects of globalisation and informationalisation that ensued the fall of the Soviet Union had changed the globe and therefore changed the character of warfare. The 13 forms of war itemised in Unrestricted Warfare cover financial, smuggling, cultural, drug, media and fabrication, technological, resource, psychological, network, international law, environmental, economic aid, and urban terror. War will be conducted in nonwar [i.e. non-military] spheres…If we want to have victory in future wars, we must be fully prepared intellectually for this scenario, that is, to be ready to carry out a war which, affecting all areas of life of the countries involved, may be conducted in a sphere not dominated by military actions. Seeking asymmetric advantage draws lineage from Sun Zi, but the 13 forms of conflict also draw on communist revolutionary thinking. Military conflict, for thinkers like Mao Zedong, was only one form of warfare, other sources may be just as important or even more crucial. Political, sociological, technological, and economic and psychological warfare are required over a protracted conflict to acquire gradual advantage in strategic circumstance. For most of the last 30 years, Chinese international relations policy has been bound by Deng Xiaoping’s adage “hiding capabilities and biding one's time” (韬光养晦). This is a broader concept than the whole of government/interagency approach to operations that militaries discuss, but one that focuses on institutional reform in how government thinks about achieving their goals. The Russians, who under the Soviet Empire attempted to match US nuclear and technological supremacy, have also taken to asymmetric lessons and applied a limited war approach. General of the Army Valery Gerasimov, the current Chief of the General Staff of the Armed Forces of Russia, in February 2013 wrote an article in the Military-Industrial Courier titled “The Value of Science in Prediction.” Coined the “Gerasimov Doctrine,” the article contained many similarities to those espoused in Unrestricted Warfare and those found deep in Russia’s history. The focus of applied methods of conflict has altered in the direction of the broad use of political, economic, informational, humanitarian, and other non-military methods … All this is supplemented by military means of a concealed character, including carrying out actions of informational conflict and the actions of special operations forces. The open use of forces –– often under the guise of peacekeeping and crisis regulation –– is resorted to only at a certain stage, primarily for the achievement of final success in the conflict. This was the first non-linear war. In the primitive wars of the nineteenth, twentieth, and other middle centuries, the fight was usually between two sides: two nations or two temporary alliances…The simple-hearted commanders of the past strove for victory. Now they did not act so stupidly. That is, some, of course, still clung to the old habits and tried to exhume from the archives old slogans of the type: victory will be ours. It worked in some places, but basically, war was now understood as a process, more exactly, part of a process, its acute phase, but maybe not the most important. war needs to be waged holistically and not be considered as purely a military affair. …the employment of all means at a nation’s command, short of war, to achieve its national objectives. Such operations are both overt and covert. They range from such overt actions as political alliances, economic measures (as ERP), and “white” propaganda to such covert operations as clandestine support of “friendly” foreign elements, “black” psychological warfare and even encouragement of underground resistance in hostile states. As Colin Gray warned, war needs to be waged holistically and not be considered as purely a military affair. Logistic, economic, political, diplomatic, and socio-cultural contexts are likely to be lost when war is only focused on through a gun sight. “Any of those dimensions, singly or in malign combination, can carry the virus of eventual defeat, virtually no matter how the army performs on the battlefield.” If there are no poles of war and peace, the contest of wills cannot be the privy of military professionals alone. This thinking has not disappeared. In March 2015, the US Army Special Operations Command publicly released the SOF Support to Political Warfare White Paper. The paper notes that political warfare provides the tools for “proactive strategic initiatives to shape environments, pre-empt conflicts, and significantly degrade adversaries’ hybrid and asymmetric advantages.” The paper argues this strategy is a method of achieving objectives through less prominent means, and notes the Department of Defense would be one of supporting other US Government agencies as the policy lead. As a middle power, with limited means of deterrence or great power influence, this approach is a useful strategy for Australia. Such a strategy is efficient in that all elements of government and national power pull in the one direction, there is not a military campaign plan but a national strategy. The uncomfortable aspects of this strategy for a democracy are not military, economic, diplomatic aspects, or even covert options. Information warfare or propaganda are ideas which concern liberal sensibilities. With no information ministry in Australia, information is disseminated through a free press and increasingly by the citizenry. While governments are maligned for their spin doctors, selling a message internationally is important for winning the war of ideas and mobilising the population to a shared cause. Audrey Cronin laments that “Democratic states like ours are stuck between the Scylla of suppressing free speech, and the Charybdis of allowing new forms of mobilisation leading to violence which threatens us all.” War is and always has been a clash of wills, wars are fought where the passions of the people reside, and we only need to fight to have our story heard. The challenge is to retain liberal values and uphold the rules-based global order while leveraging as many tools as the adversary may have. The challenge is to retain liberal values and uphold the rules-based global order while leveraging as many tools as the adversary may have. Strategy in democracy is not easy. Alexis de Tocqueville surmised a “democracy can only with great difficulty regulate the details of an important undertaking, persevere in a fixed design, and work out its execution in spite of serious obstacles.” But mistakes in an authoritarian system can not be easily rectified, and failure in leadership is not easily punished. The fundamental cause of the collapse of the Soviet Union was the inability to reconcile strategic ambition with economic reality. Democracies allow inputs, ideas coming from a broad and diverse spread of society which give it strength and legitimacy. Democracies have been very successful over the last 100 years for a reason. We cannot do strategy easily, but we can do it better. So what does political warfare look like in the Australian system? Perhaps it’s worth reflecting on current arrangements. At the top of the structure is the National Security Committee of the Cabinet (NSC) which is chaired by the Prime Minister. It focuses on major international security issues of strategic importance to Australia, border protection policy, national responses to developing situations (either domestic or international) and classified matters relating to aspects of operations and activities of the Australian Intelligence Community. The membership includes the Deputy Prime Minister, Attorney-General, Treasurer, Minister for Foreign Affairs, and Minister for Defence along with requisite departmental secretaries and senior officials. Its decisions do not have to go to the full cabinet and therefore perspectives of other ministers and their departments are lost –– the full spectrum of national power is not applied to national security issues. Issues are referred to NSC in an ad hoc fashion. Former Prime Minister Kevin Rudd was accused of abusing the “national interest test” within the Foreign Acquisitions and Takeovers Act when he referred the bid for Rio Tinto to the NSC in 2008. The “mercantilist and central planning mindset of Australian politicians’ allegedly surprised the Chinese.” However, the current Government has been accused of strategic mismanagement over the non-referral to NSC of the leasing of Darwin Port to the Chinese firm Landbridge. It was not given a full Foreign Investment Review Board assessment because Landbridge is a privately owned firm. Certain commentators have argued that the current NSC and supporting Secretaries Committee on National Security is not fit for purpose, however former restructuring has failed to gain traction –– such as the appointment of a National Security Advisor. …very few countries could be said to do “joined–up” government at all well as there is a recurring lack of coordination between the strategic, military and economic institutions across nations. While it may be hard for any country to achieve this outcome, and perhaps harder still for democracies, history suggests that those which do can have a disproportionate influence at key times in history. Why is this? Peter Jennings tries to explain, noting that economic and strategic policy makers rarely engage. “They largely march to their separate professional beats without the discomfort of struggling to encompass different knowledge domains and understanding different assumptions about how the world works.” Parkinson uses the Marshall Plan as an example of the US successfully integrating “joined up policy and the pursuit of economic diplomacy as part of a clear strategic agenda.” George Kennan, an advocate for political warfare, was the designer of the plan while Director of the State Department’s Policy Planning Staff. But as Mead, Garfinkle and Haass surmise, the collapse of the Soviet Union remove the structural framework for thinking about national interests and allowed the pursuit of short-term news cycle without any strategic program. Parkinson concludes that it is increasingly important to reflect on the skills required in state institutions, and ensure greater coordination between those ministries. Australia doesn’t need more bureaucracy for political warfare – just a strategic culture across the bureaucracy. This is correct, as the question of developing political warfare is about blending disciplines and coordinating efforts –– more a culture shift than an institutional reform. Strategists of old, such as Clausewitz and John Boyd, read widely to develop their thinking. Similarly the strategists of the Cold War drew on mathematical theories to develop nuclear deterrence. Encouraging a blending of streams would develop better strategic thinking. In the US, Max Boot observes that political warfare has become a lost art because no department or agency across the US Government views it as a core mission. Australia doesn’t need more bureaucracy for political warfare –– just a strategic culture across the bureaucracy. If Mead, Garfinkle and Haass are right, the model for success in Australia might lie in the past. In the 1950s through to the 1970s, strategic planning was developed through the Defence Committee. This body was not the privy of those in Defence, but rather comprised of senior representatives from the Departments of Foreign Affairs, Prime Minister and Cabinet and the Treasury. With the amalgamation of the Department of Defence in the 1970s, the rationale for the Committee slowly dissolved and external representation was not included in the Committee’s successors. The result was a succession of strategic documents that were not owned by the whole of government, only Defence. Critics like Rory Medcalf see this as a problem. He views the absence of an overarching national security strategy above the Defence White Paper and 13 years without a similar document on foreign affairs as significant challenges for Australia. But these are really symptoms of a more chronic disease, Australia does not have the adequate mechanisms to reconcile strategy across government, nor the literacy across the various strategic and economic disciplines within individual departments. Australia needs to adapt a strategy of long term sustainable warfare through integrating government’s capabilities into a wider strategy rather than focusing on war itself. Australia’s interests are in upholding the rules-based global order with the goals of international stability and peace; this is a peacetime political goal and therefore those that act against these goals must be met seriously and through all means of national power. The economic and strategic divide in Australia’s policy community cannot be ignored as it is not our decision whether we will have to make choices between interests –– others will force them. 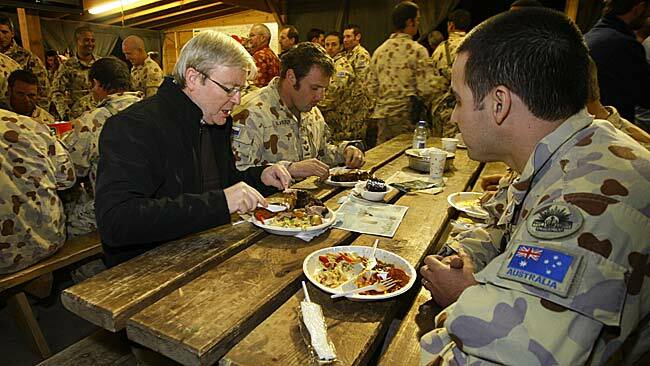 The Australian Government has vast resources and highly capable assets, including the ADF. But we also have the size that makes working across government to develop strategy easier, if we choose to make it work. There is another debate here, held by James Holmes, that the translation of this maxim should be “with other means” (mit anderen Mitteln) or “with the addition of other means” (mit Einmischung anderer Mitteln). The argument discusses that through using “by” instead of “other,” the quote separates war from diplomatic, economic and ideological interaction between combatants. See James R. Holmes, “Everything You Know About Clausewitz Is Wrong,” The Diplomat, November 12, 2014. http://www.thediplomat.com/2014/11/everything-you-know-about-clasewitz-is-wrong/. Antulio Echevarria notes that even the translation of “politics” is contentious, with Politik meaning either politics or policy and Clausewitz shifted between both meanings. See Antulio J. Echevarria II, “Clausewitz and the Nature of the War on Terror,” Clausewitz in the Twenty-First Century, ed. Hew Strachan and Andreas Herberg-Rothe, (Oxford: Oxford University Press, 2007), 205. 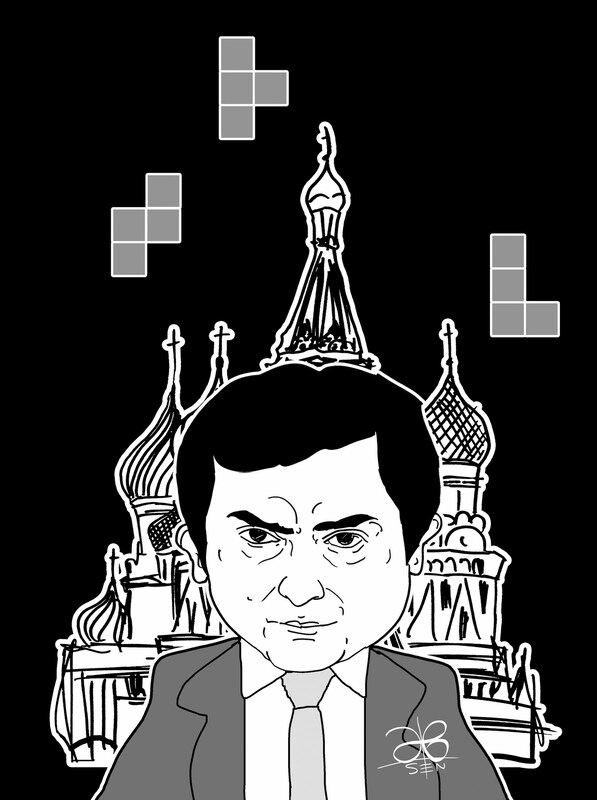 Gerasimov cited in Mark Galeotti, In Moscow’s Shadows –– Analysis and Assessment of Russian Crime and Security Blog, http://inmoscowsshadows.wordpress.com. Lawrence Freedman, “Ukraine and the Art of Limited War,” Survival: Global Politics and Strategy, 56 (6), December 2014–January 2015, 15. Audrey Kurth Cronin, “Seeking Victory against Hybrid Adversaries: The Changing Character of 21st Century Threats and How to Fight Them,” Lecture as Australian Army's 2015 Keogh Chair, Australian Defence College, 14 August 2015. David Uren, The Kingdom and the Quarry: China, Australia, Fear and Greed, (Melbourne: Black Inc, 2012). Walter Russell Mead, “The End of History Ends” The American Interest, 2 December 2013; Adam Garfinkle, “The Silent Death of American Grand Strategy,” American Review No. 15, Feb-April 2014; and Richard N Haas, “Put America’s House in Order,” American Review No. 15, Feb-April 2014. Max Boot and Michael Doran, Council on Foreign Relations Policy Innovation Memorandum No. 33, Political Warfare (Washington, DC: Council on Foreign Relations, June 7, 2013).